With all of the moving parts and pieces in the massive expansion of the Star Wars universe, there are bound to be shifts and changes. Screenwriter Michael Arndt very publicly left Star Wars: The Force Awakens due to creative differences—J.J. Abrams and Lawrence Kasdan took over in the aftermath and performed substantial rewrites. And now there has been another writer departure as Gary Whitta has left the first standalone spinoff. First reported by The Hollywood Reporter, this separation definitely appears to be more amicable than the previous split. Whitta was working on the first of the planned side movies with Godzilla director Gareth Edwards, and even completed a draft. With his leaving, however, they will likely bring in another new writer. My year of work in a galaxy far, far away is done! I’m onto my next project, adapting @mrmarkmillar’s STARLIGHT for 20th Century Fox! If everyone enjoyed working with one another so much, you have to wonder why this happened at all. Whitta did finish a draft of the script, and maybe that was all he was brought on to do, or all he wanted to do. Now that there’s a baseline, maybe he just wanted to wash his hands of the whole thing and let them tinker with the screenplay as they see fit. But who the hell knows. We’ve heard many different things about the first of these spinoff movies. 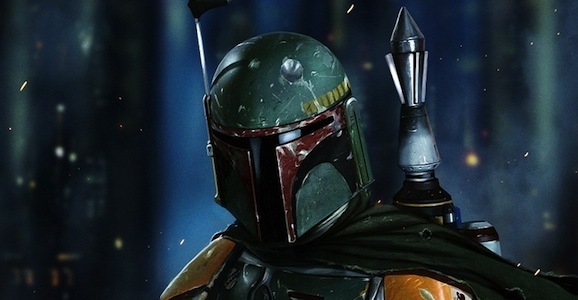 The most substantial is that it involves bounty hunters, notably Boba Fett, and could revolve around the heist of the plans for the first Death Star. This would place the film in the time just before A New Hope, which is also around where Star Wars Rebels goes down. On the other hand, the most recent rumor making the rounds indicates that the first movie might revolve around Han Solo and star Breaking Bad’s Aaron Paul, a report that raised a few eyebrows. Whatever the plot turns out to be, and whatever Whitta’s departure means for the first standalone Star Wars movie, we probably won’t know until it opens on December 16, 2016.